This week I'm going to try to do all seven days of my challenge called #SevenDaysOutside. Let's see if I'm going to be able to post every day a photo that fits the challenge rules. 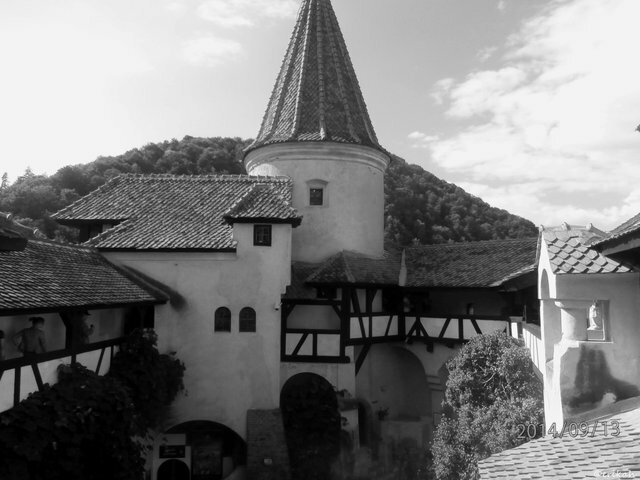 Today I'm posting a photo taken in the internal courtyard of the Bran Castle located near Brasov, Romania. The castle’s construction was completed in 1388. Those were tough times, there was no electricity, no central heating and this castle is situated on the top of a hill and served as a shelter for many people. As you can see the windows are very small. Glass was not exactly cheap and available during those times, this is why most of the buildings from that period have very small windows, but this is just one reason. The other reason was to preserve the heat. Heating was done using wood. You got more than 12500 replies. Your next target is to reach 13000 replies. Milestone after milestone. Thanks for notifying us.